Find out why you should go to the ski show this year! The Ski Show has been going for 45 years. 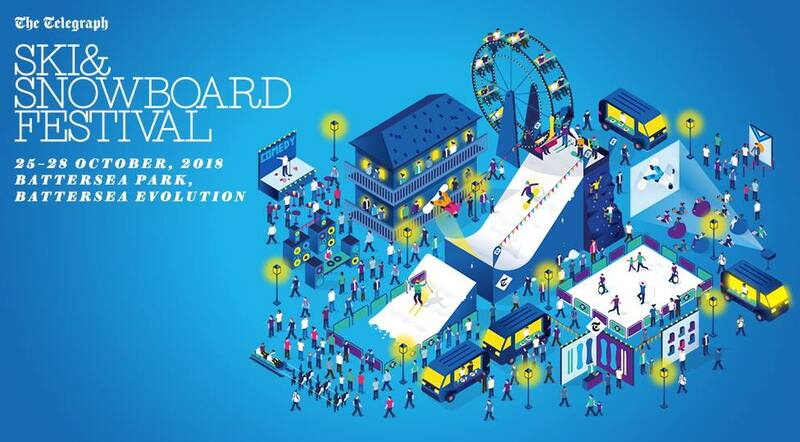 This will be our 16th year at The Ski & Snowboard Festival as it is now known and now that it has bedded into its home in Battersea Park we love it even more. 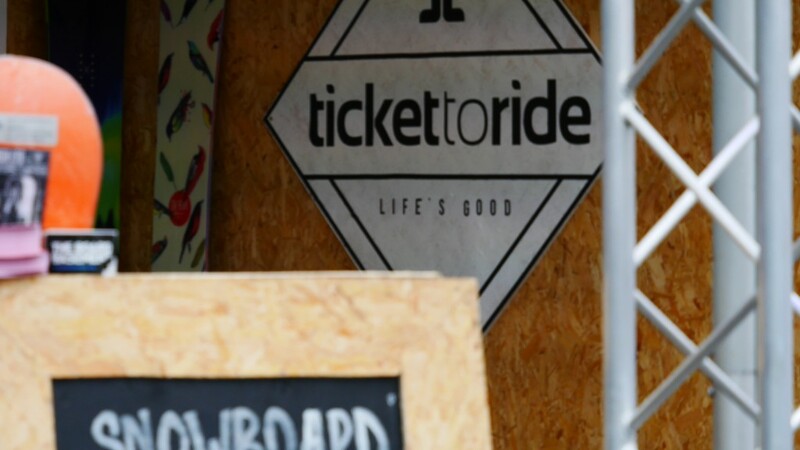 Last year we emersed ourselves deep into the whole vibe of the festival with tonnes of stuff to check out… from nerding it up with the latest ski tech to enjoying the whole apres scene that is conjured up. As always we are stoked to get the chance to see old faces and meet some of this winters Basecampers who will be training with us in Banff and Meribel. We really can’t wait to set up our stall and hang out with people who love the mountains as much as us! This year Mount Battersea 50ft real snow kicker will return along with host Tim Warwood. 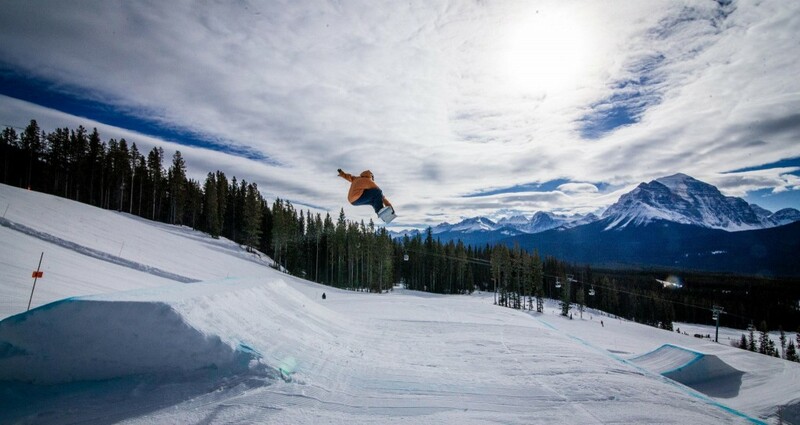 The jump will host big air ski and snowboard demo’s throughout the day and will feature the best riders from the UK. During the weekend there will be style competitions organised by the people behind The Brits and Big air sessions sponsored by Jimmy’s Iced Coffee. The outdoor location of the kicker means that the riders can go bigger and higher than before. The location is also a great opportunity to see the riders up close which will help inspire you to perfect some slick tricks this season. New for this year is the introduction of avalanche training in at the foot of the kicker in the real snow and arena interviews with past and present riders including, Jenny Jones and members of Team GB. If watching isn’t enough for you then you could always have a go as Chel-ski is bringing one of their slopes to the festival. For the unenlightened, the slope is a treadmill-style slope with a moving carpet of artificial snow that in effect gives you an endless piste. There are free sessions throughout the day as well as demos from the likes of Warren Smith. We enjoyed the apres vibe so much that the team are now poster girls and boys for the festival, just check us out in this photo. 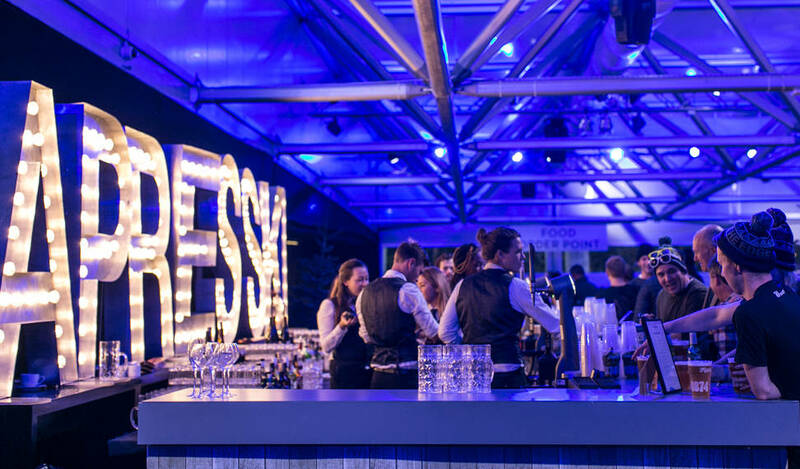 This year the apres sessions have been extended to 2 days as the festival will stay open until 10 pm on Friday and Saturday with a special evening only ticket available. There will be comedy, live music, DJ’s and a headline set from Sunset Sons. There is traditional alpine food on offer as well as bars designed to give that apres ski vibe. Don’t forget there is always an after party to attend if you know the right people. We will be hanging out with our sister company Ticket to Ride on stand EX11 during the show, so come and stop by for a chat. It is also the perfect opportunity for us to showcase our courses and love of winter to anyone still deciding which program will be the best way for them this season. 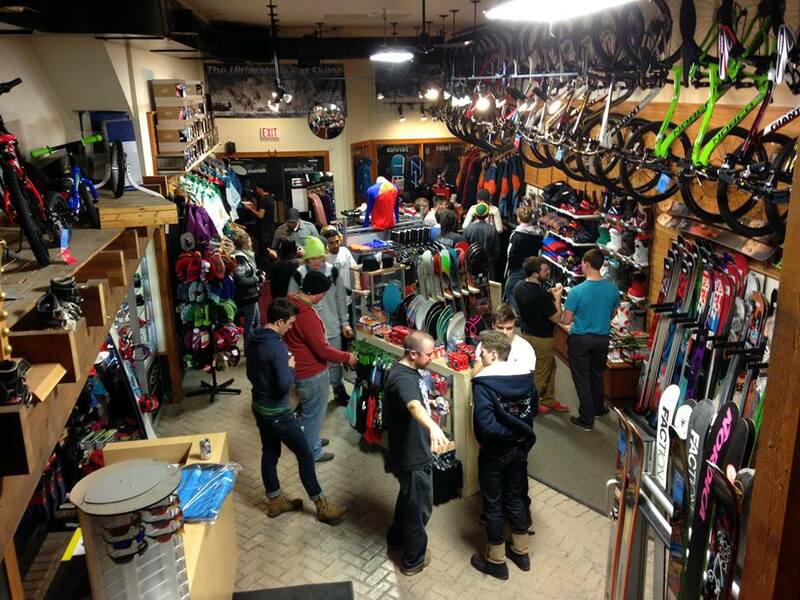 If you are looking to refresh your ski kit or just pick up some essential kit then the show is quite a good place to tick stuff of your shopping list in one go. At the very least you can check out what you want, try it on, talk to the experts then see if you can pick it up cheaper on-line when you get home. There are lots of other things going on such as free talks, climbing walls, ice skating, tasty alpine food, husky rides and there is always a chance to bump into the legendary Graham Bell. BC Ski Freestyle Courses from TTR Group on Vimeo. This entry was posted in News, ski, Snowcamp and tagged apres ski, London, party, ski show. Bookmark the permalink.